A beautiful gathering under the tipi for guided meditation, smudge stick making & BUSH flower Moana Moon medicine essence of own to receive. 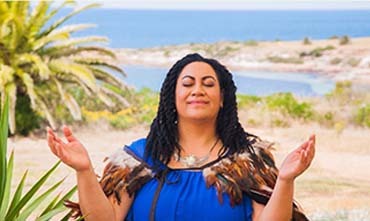 Ngahuia will offer teachings of her cultural ceremonies in connecting to Moana (ocean) with ebb & flow. This New Moon ceremony inspires new beginnings whilst sharing Tea Ceremony by BUSH Flower Medicine. Be welcomed into sacred space & ceremony. The Tahi and Rua options bundled into one – a night of food and ceremony.